The devotion to the Sacred Heart of Jesus is very popular among Christians around the world. In the Philippines, one would find many Catholic churches full of devotees hearing mass and receiving Holy Communion on the First Friday of each month. The power and mercy of the Sacred Heart have been proven time and again resulting in the undying spread of this popular devotion. Even as a young girl, I was already a devotee of the Sacred Heart of Jesus. In the pilgrim town where I was born and raised, religious fervor, even among young people, was nothing unusual. In college at the University of Santo Tomas (UST), my classmates and I would line up the long queue to the confessional box at the UST chapel after class every late Thursday afternoon before the first Friday of the month. Every first Friday morning, we would wake up at dawn to catch the first mass at the chapel before going to class at seven. To this very day, I have remained faithful to the devotion to the Sacred Heart of Jesus. How did the devotion to the Sacred Heart of Jesus come about? After the passion, death and resurrection of Jesus Christ, the early Christians clearly understood the fullness of God’s sacrificial love. Led by St. John, the Apostle and Evangelist, and by St. Paul, the followers of Jesus propagated the worship and adoration of God’s tremendous love. They would celebrate, and give praise and thanksgiving to Christ’s unconditional love to mankind symbolized by the image of His wounded heart. It was then known simply as celebration of God’s Love. For the first ten centuries of Christianity, no worship had been rendered specifically to the wounded heart of Jesus. In the 11th to the 12th centuries of Christianity, there arose from the Benedictine and Cistercian monasteries a devotion to the Sacred Heart which was taken to symbolize the wound of Divine Love. This devotion was propagated but did not seem to develop. Sometime in the late 13th or early 14th century, a pious Cistercian nun by the name of Gertrude from Saxony had a vision on the feast of St. John. She was resting her head on the wound on Christ’s side and hearing the beatings of His heart while she felt an emotion impossible to describe. It was ecstatic, at the very least. She asked St. John if at the time he leaned his head on Jesus’ chest at the Last Supper he felt those delightful beatings of His heart and why he had never spoken about it. St. John told her that this revelation had been reserved for another generation in the future when the world has grown cold and steeped in sin that it would be necessary to rekindle the love of mankind for God. The devotion to the Sacred Heart of Jesus remained as a private and individual devotion for the next three centuries. In the 17th century, the Catholic Faith was being badly shaken due to many attacks against the Church. Protestantism was on the rise and there came about a heresy known as Jansenism. However, there also arose strong forces to counter these threats. On the feast of St. John (same day when St. Gertrude had the vision about three centuries ago) on 27 December 1673, a French Roman Catholic nun by the name of Marguerite Marie (Margaret Mary) Alacoque experienced a vision similar to that of St. Gertrude. In her vision, Our Lord permitted her to rest her head upon His side, and then revealed to her the wonders of His love, telling her that He desired to make known His love for mankind through His wounded Sacred Heart. This was followed by other apparitions in a period of eighteen months. Around six or seven months after the first vision, Jesus requested to be honored under the figure of His heart of flesh. Appearing full of radiance and love, Jesus asked the devotion to be accompanied by the reception of Holy Communion on the First Friday of the month and observance of the Holy Hour. In June 1675, the vision known as the “great apparition” took place where He showed His exposed heart surrounded by fire and crowned with thorns. Pointing to His heart as the one who loved mankind so much but was rewarded with ingratitude, He asked Margaret Mary to have a feast of reparation to His Sacred Heart. He also told her to consult her confessor, Fr. Claude de la Colombriere for guidance. Thus the devotion to the Sacred Heart of Jesus was formally started with the help of Fr. John Eudes and Fr. 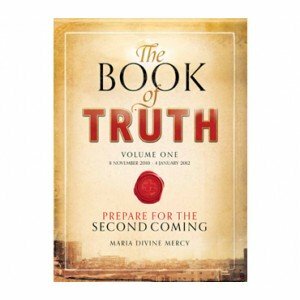 Claude through their writings and teachings regarding the Sacred Heart. These two Jesuit priests and writers later became saints. The death of St. Margaret Mary in 1690 did not dampen the zeal of the devotion. It reached the entire region of France. In 1856, the feast was extended to the entire Roman Catholic Church. 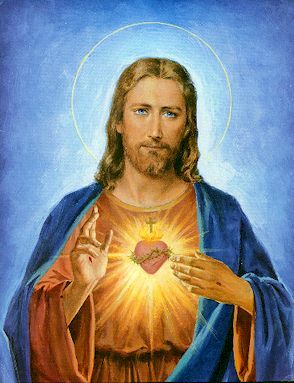 After much study by a group of theologians, Pope Leo XIII decreed that the entire human race be consecrated to the Sacred Heart of Jesus on 11 June 1899. The Roman Catholic Church encouraged the devotion of the nine First Fridays with confession and communion and established June as the month of the Sacred Heart. Since then the Roman Catholic acts of consecration, reparation and devotion to the Sacred Heart of Jesus were introduced and have remained the regular prayers of devotion to this very day. As answers to petitions to the Sacred Heart in the form of small and big miracles increased, the devotion spread like wildfire throughout the whole Christian world. Many parishes, colleges, schools, hospitals, religious orders and even other institutions such as stores selling Roman Catholic articles, are named after the Sacred Heart of Jesus. In the Philippines, enthronement of the image of the Sacred Heart is the regular practice in almost every home, especially during a blessing of new homes. This practice is the result of one of our Lord’s promises to bless all places where the image of His Sacred Heart is exposed and venerated. The prayer, “O Sacred Heart of Jesus, I place all my trust in you” is often used. I will be their refuge in life and especially in death. 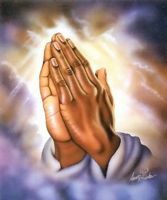 I will abundantly bless all their undertakings. Fervent souls shall rise speedily to great perfection. I will bless those places wherein the image of My Sacred Heart shall be exposed and venerated. Persons who propagate this devotion shall have their names eternally written in My heart. In the excess of the mercy of My Heart, I promise that all my powerful love will grant to all those who will receive Holy Communion on the First Fridays for nine consecutive Fridays, the grace of final repentance: they will not die in my displeasure, nor without receiving the sacraments; and my heart will be their final refuge in that last hour. What more graces and blessings do we need? The twelfth promise has given rise to the pious Catholic practice of making an effort to attend mass, go to confession and receive Holy Communion on the First Friday of each month. These are the promises of Our Lord Jesus Christ who cannot deceive nor be deceived and we are assured that He will fulfill all His promises as long as we remain faithful to Him in return. It would really be a great misfortune for anyone who will not avail of the abundant and priceless blessings and benefits of these promises. Click here to return from the Sacred Heart of Jesus to Catholic Spirituality.